We had a great time at Cranage Hall last weekend for the North West Audio Show. The usual free entry combined with wonderful weather and a superb venue made it once again a success. The show is growing year by year and is now well worth a visit. 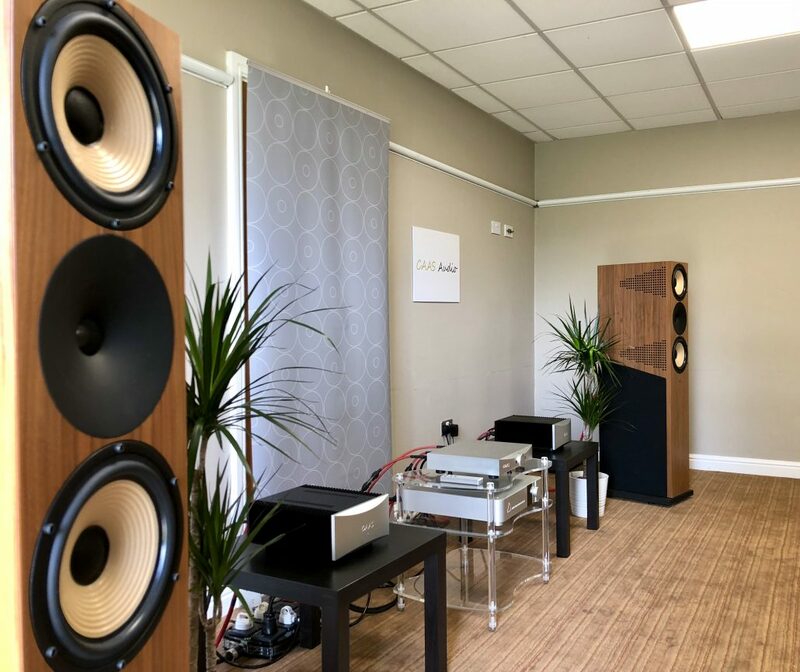 The main system we had was sounding fabulous, Amphion Krypton driven by CAAS Audio pre/power, Audiomica cables, MusicWorks mains, furniture, and isolation. Source was a Nadac kindly loaned to us by Ultimate Stream. The system had terrific scale and power yet also retained subtlety and finesse, Gregory Porter to Nine Inch Nails all sounded superb. 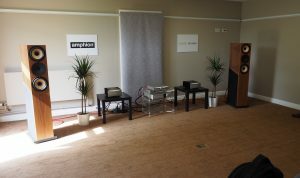 We also had a more modest system, featuring the new versions of Amphion Argon 1 and Argon 0. Driven by Hegel Röst and using Audiomica cables, MusicWorks mains and isolation products, it delivered music in a way that belied its apparent simplicity. Along with all the Argon range from Amphion we had M2tech RockStar series, and the piccolo+ server from Aria on display. It was a good 2 days and we had many, many positive comments. Thanks to those who visited and I hope you found it rewarding. I visited the show with my old school pal Steve, who wrote these words. Auden’s room on the lower ground floor was one of the first we visited at the show. We heard some sweet sounds from the Amphion Krypton 3’s. The speakers are quite large (tall anyway), and feature side ports made of lots of little holes, beside the mid-range drivers. Very nice musically and interesting looks. 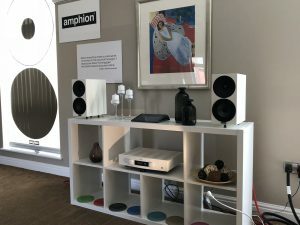 This was one of the larger demo rooms at the show and the Amphions had no trouble at all filling it with very agreeable sounds. Those who visited the room stayed for a good while, enjoying the music. We did too. It was a very hot day, and a side door had been opened stage left. Closing my eyes through the intro of The Doors’ Riders on the Storm, I could believe the illusion that it was raining outside! Many thanks for your comments, apologies for the delay in response. I’m glad you and your friend enjoyed the system, we certainly enjoyed presenting it.